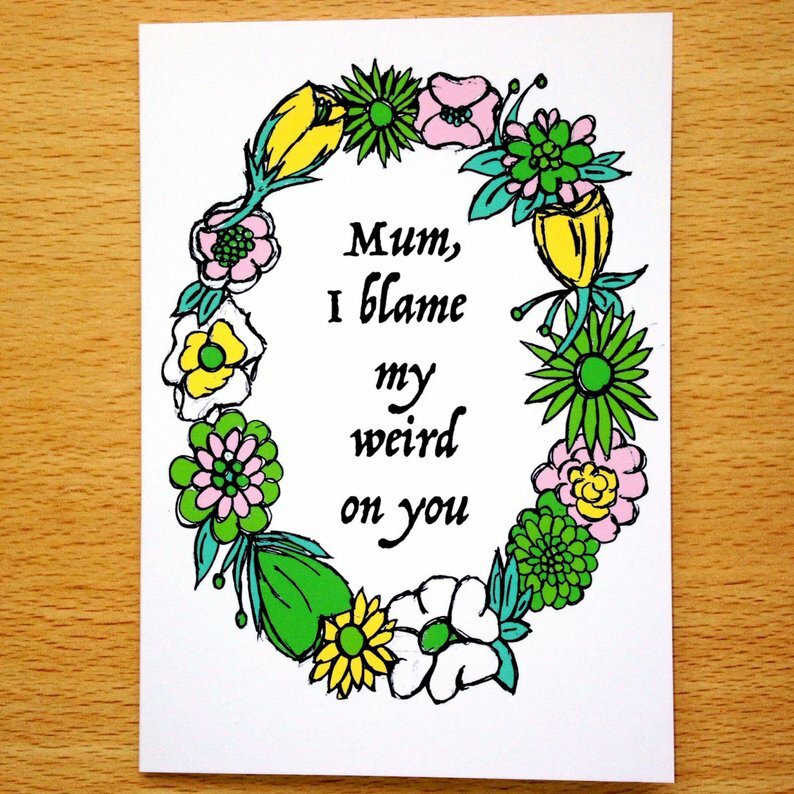 Celebrate your lovely Mums this Mother’s Day! 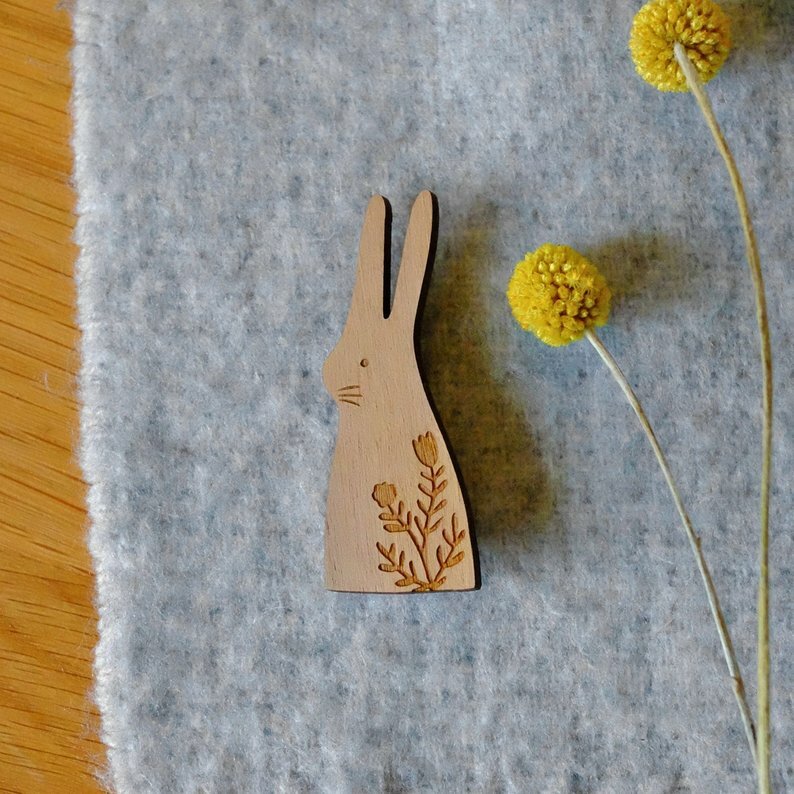 Our makers have been working hard to make beautiful gifts for every type of Mum. 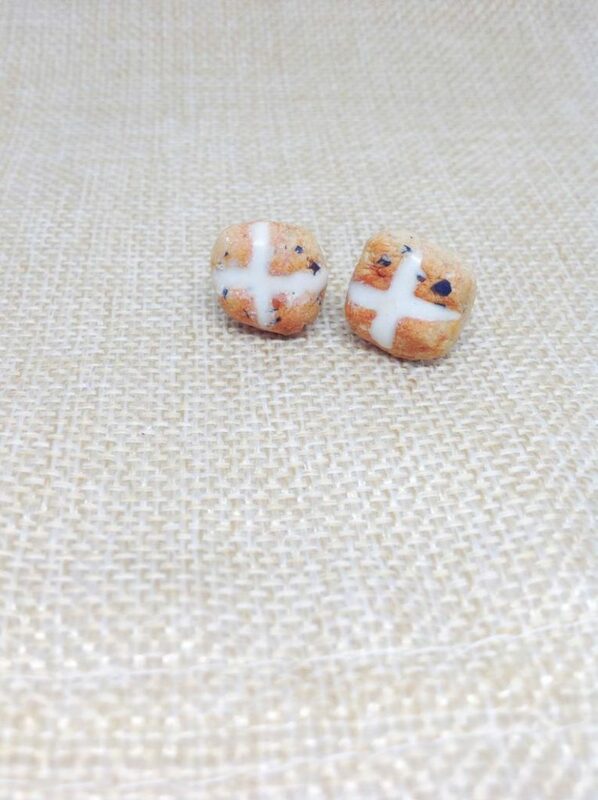 EtsyMCR Team Leader Rachel, aka The Magpie’s Daughter, has picked some of her faves. 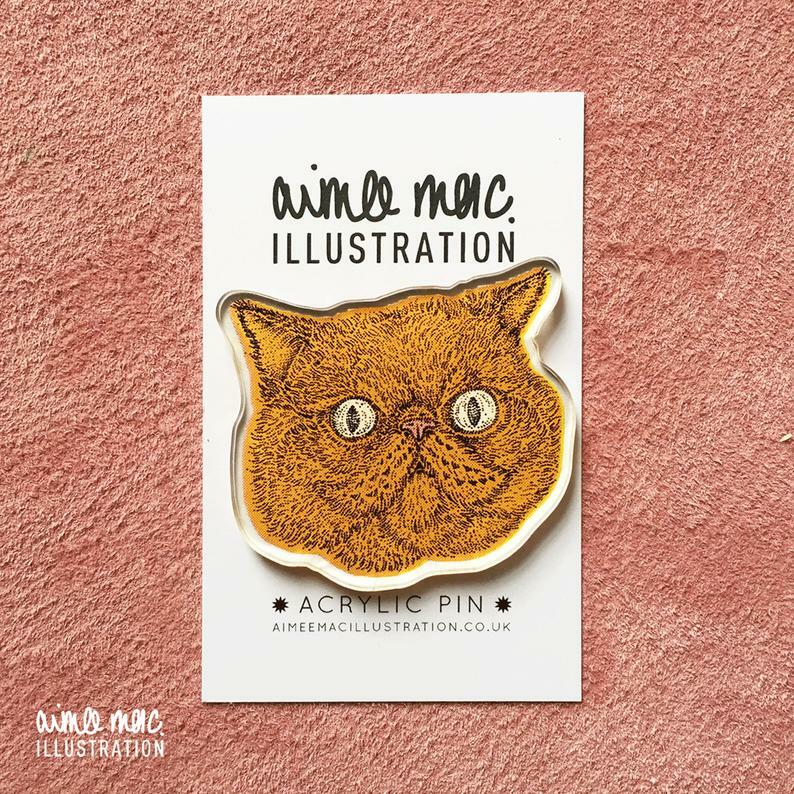 Your mum can wear her love of cats on her sleeve (or jacket) with an adorable illustrated Ginger Cat pin by Aimee Mac Illustration. 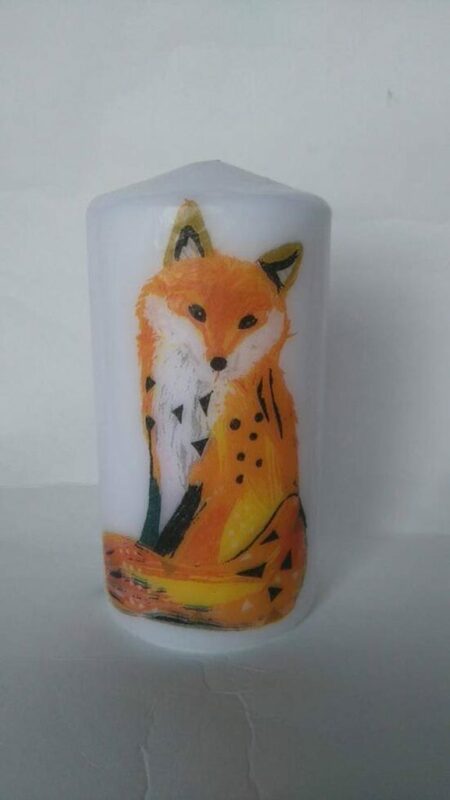 Treat your ma to a decorative Fox Pillar Candle from Simply Imperfected, which will look fab on the mantelpiece if she can’t bring herself to light it! 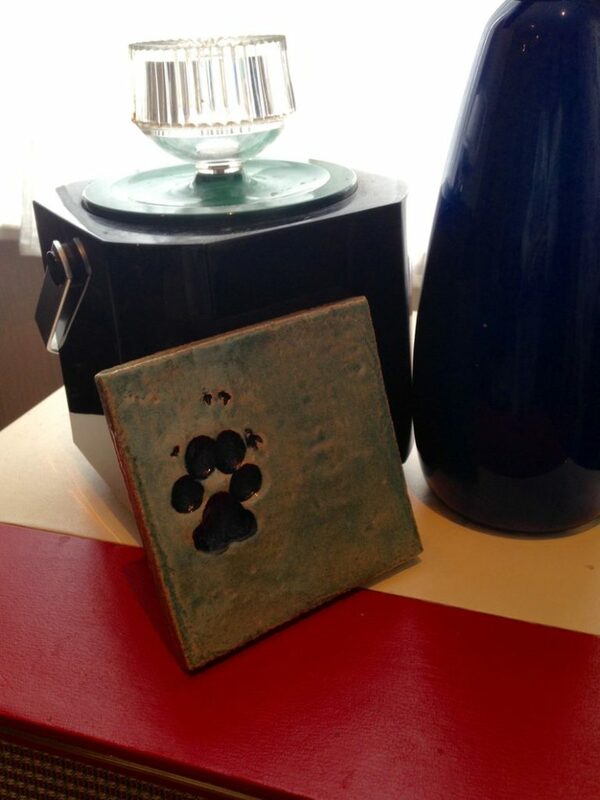 Foxytiles’ Paw Print Tile can be used simply as a decoration, added to a tiled wall or perhaps as a coaster for your mum’s fave mug. 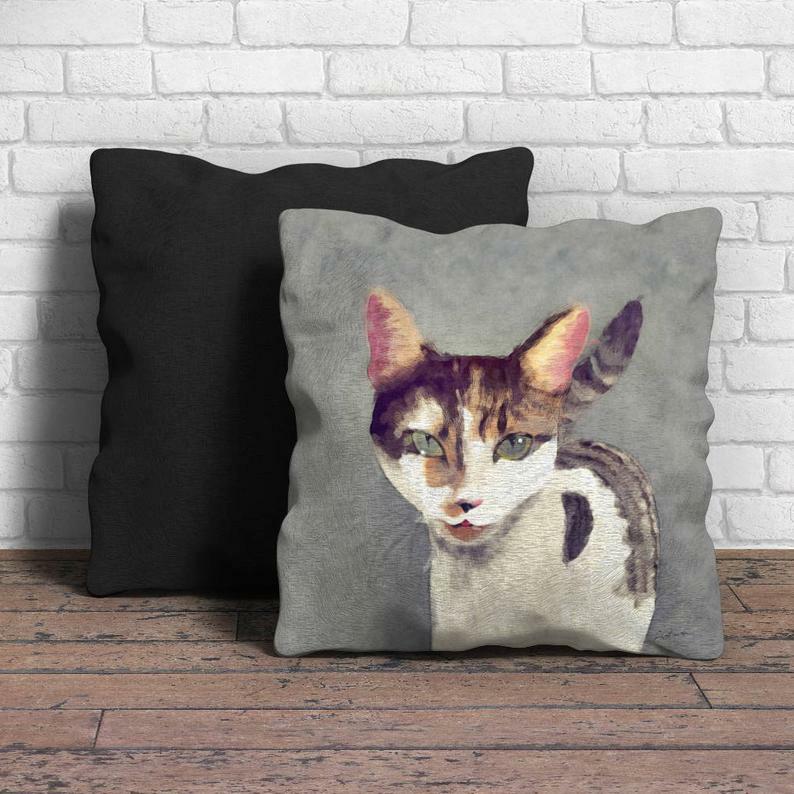 Keep your cat-loving mum comfy and cosy with an adorable Cat Portrait Cushion by Kat Pearson Designs. Why not get your lovely mum a Clay Heart Keepsake Card from Clay on Words – and maybe treat yourself to a matching one too? 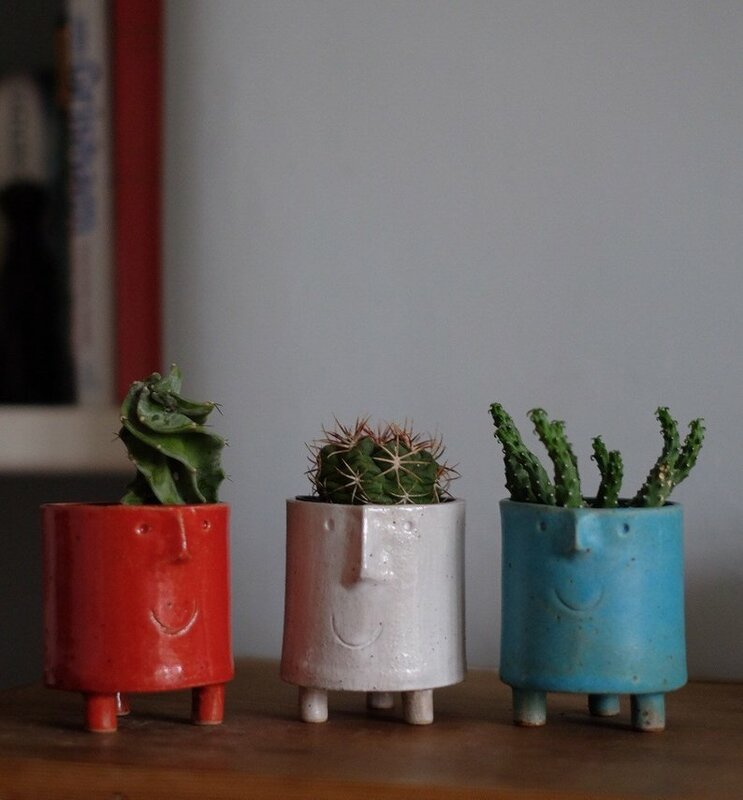 Make your bestie smile every time she sees her plant babies in one of these hand-glazed Funny Face Planters by Black Dog Pottery. 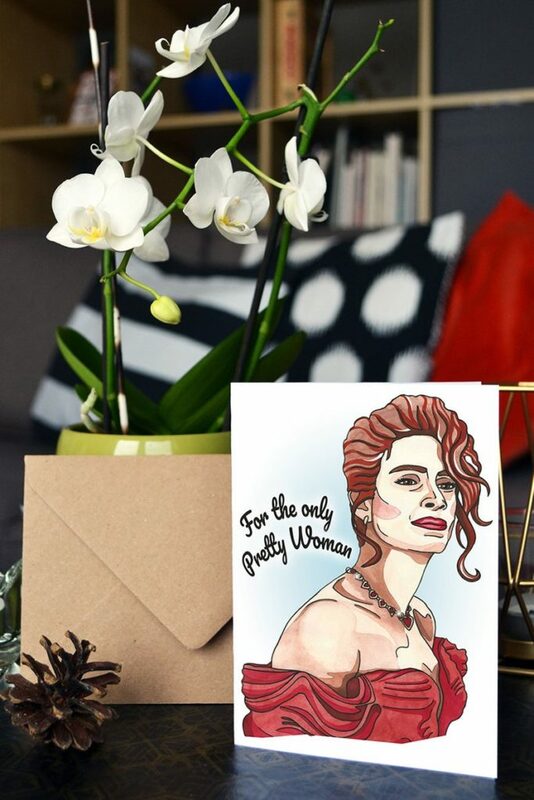 Make your mum feel extra special by telling her she’s the Only Pretty Woman with this Illustrated Card by Cranfields Creations. 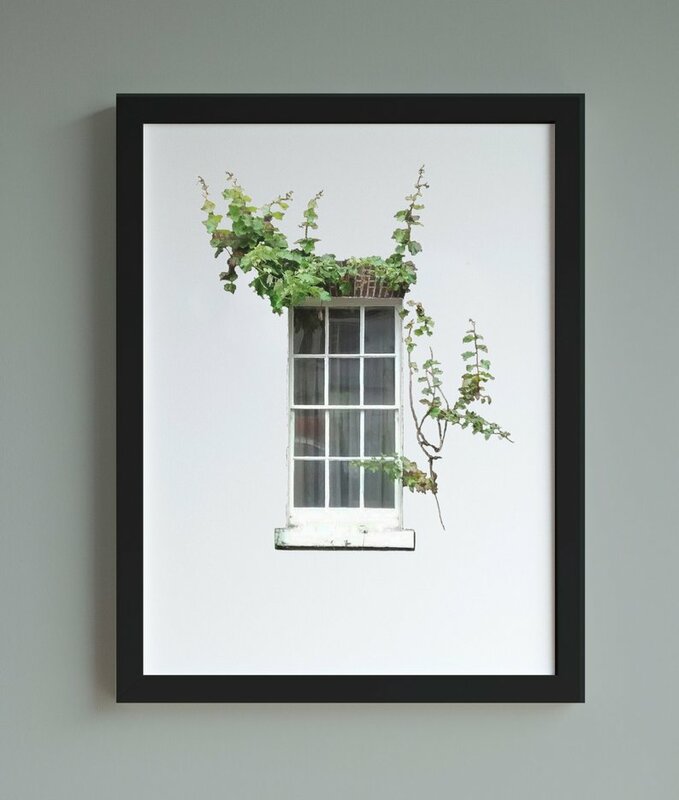 Like its artist Helena Lee, your mum can look at this ivy-strewn window and imagine the world on the other side of the glass in this Fine Art Print. 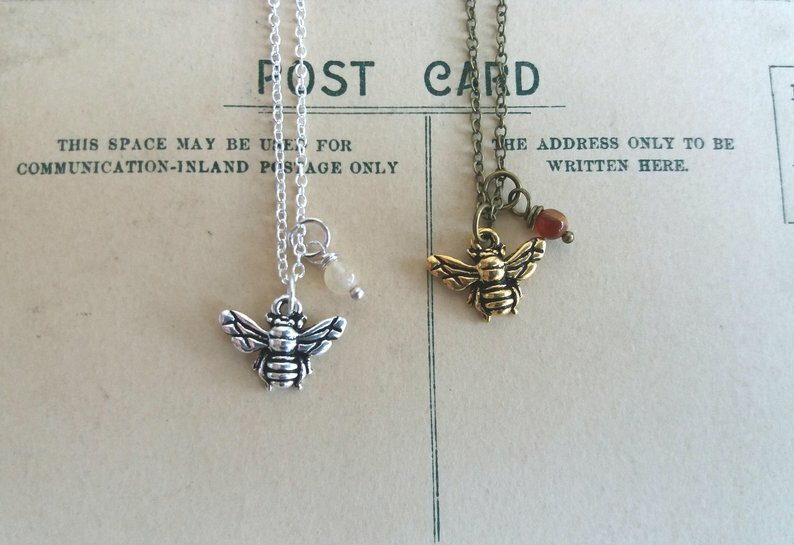 Bee-loving mums will fall head over heels for a delicate Silver Bee Necklace by The Magpie’s Daughter, featuring a tiny lemon jade bead (also in gold). 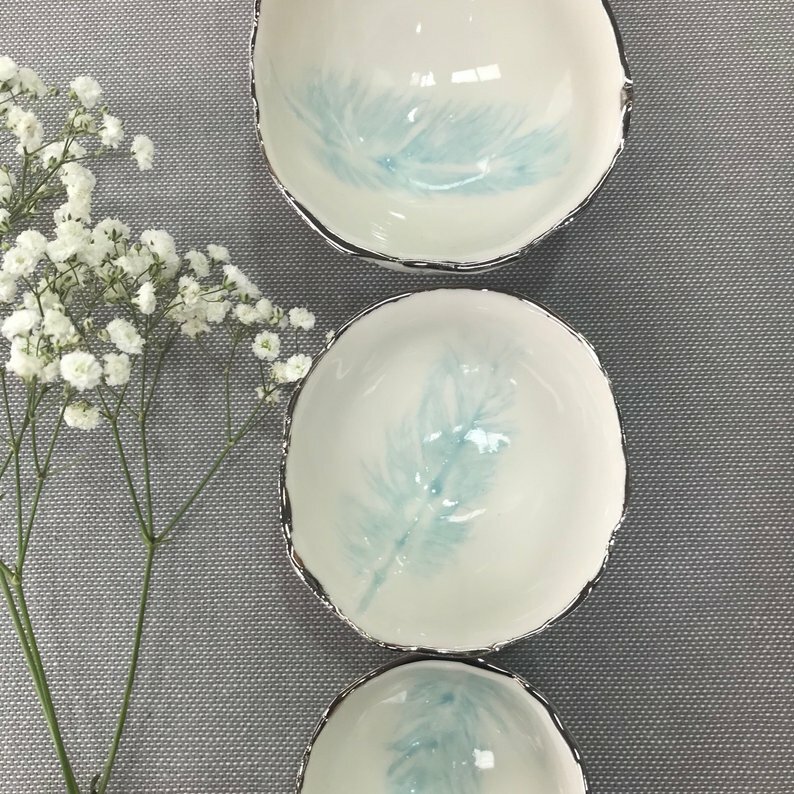 Your mum will love deciding what to keep in Nicola Briggs Ceramics’ beautiful set of three Sky Blue Porcelain Bowls, with their gorgeous inlaid feather design. 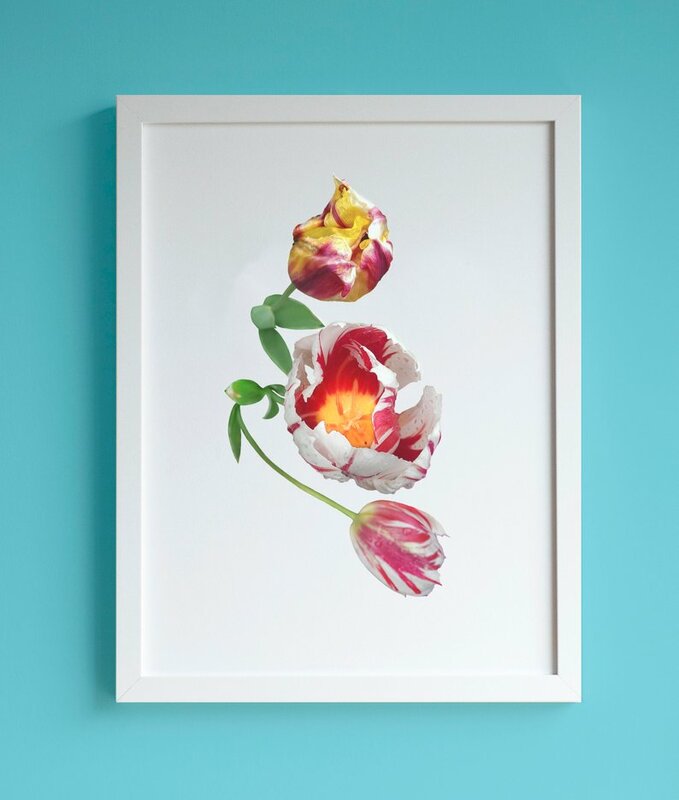 Laura Charley Design has the perfect message for mamas who love flowers. 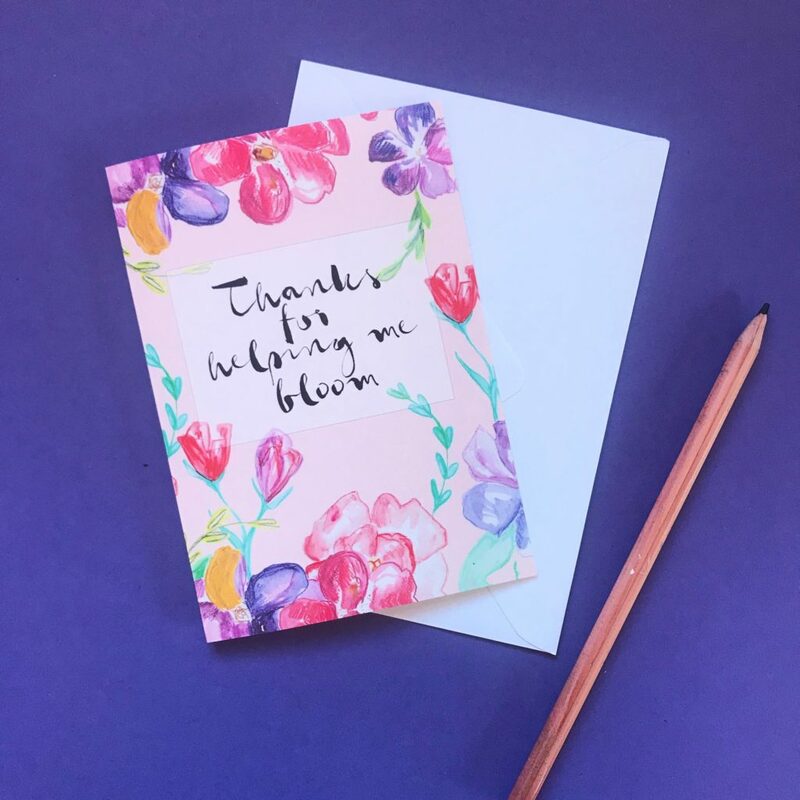 Her “Thanks for Helping Me Bloom” card is one to frame and admire for years to come. 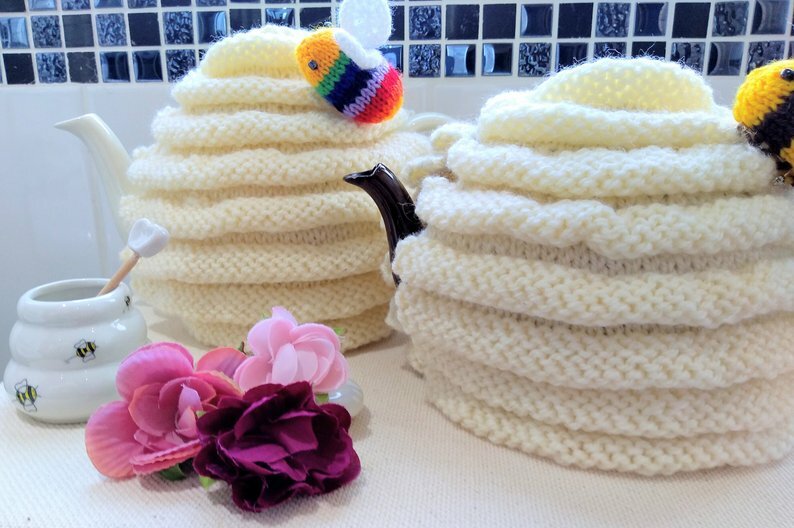 The perfect gift for a mum who loves her tea from a proper teapot – a Hand-Knitted Tea Cosy with bee decoration (choose from a regular bee or a Pride Rainbow bee!) from Bracken and Moss Design. 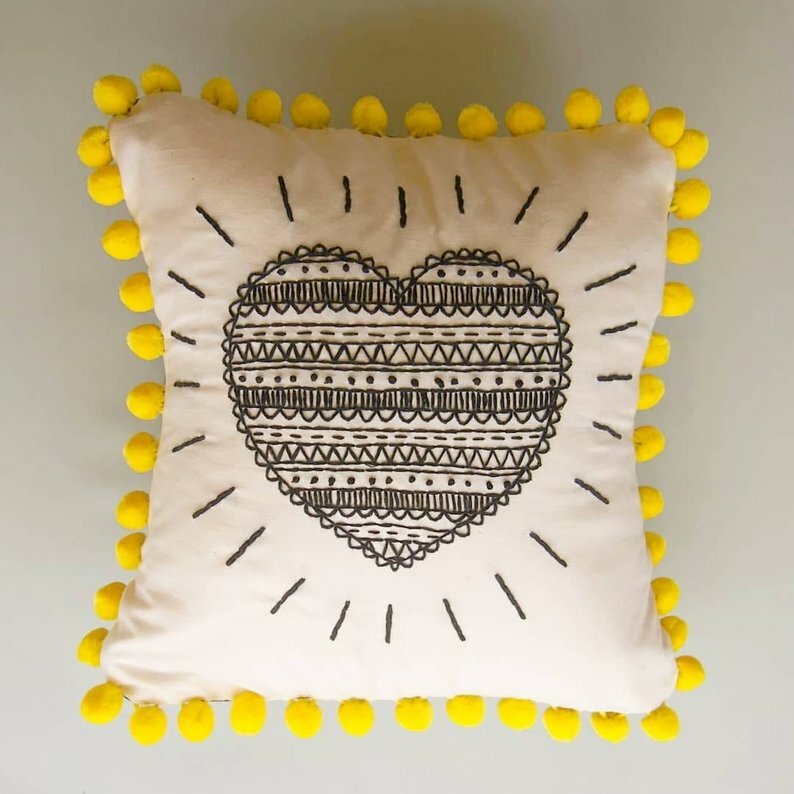 Your mom can snuggle up on the sofa to watch her favourite TV programme with this Pompom-Embellished Heart Cushion from Yellowfred Creative. 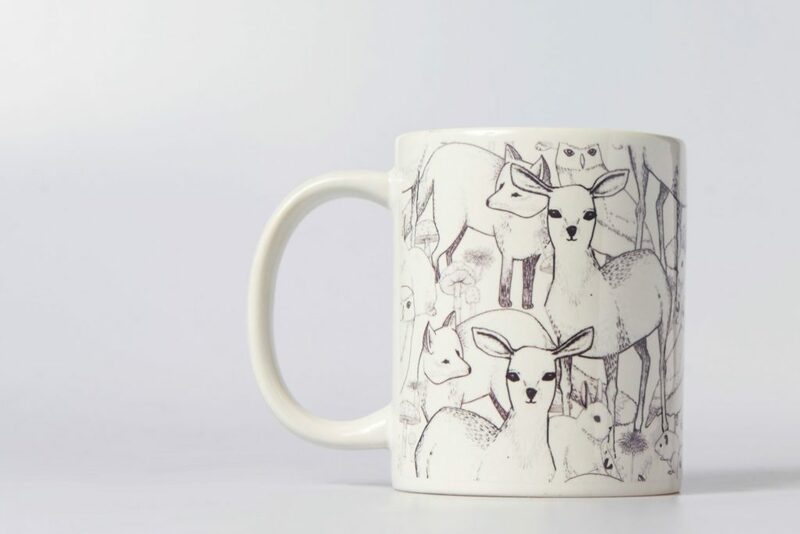 Lydia Meiying’s Woodland Design is available on mugs or coasters, but if you can’t choose which one to get your mum, why not get her the Matching Mug and Coaster Set? 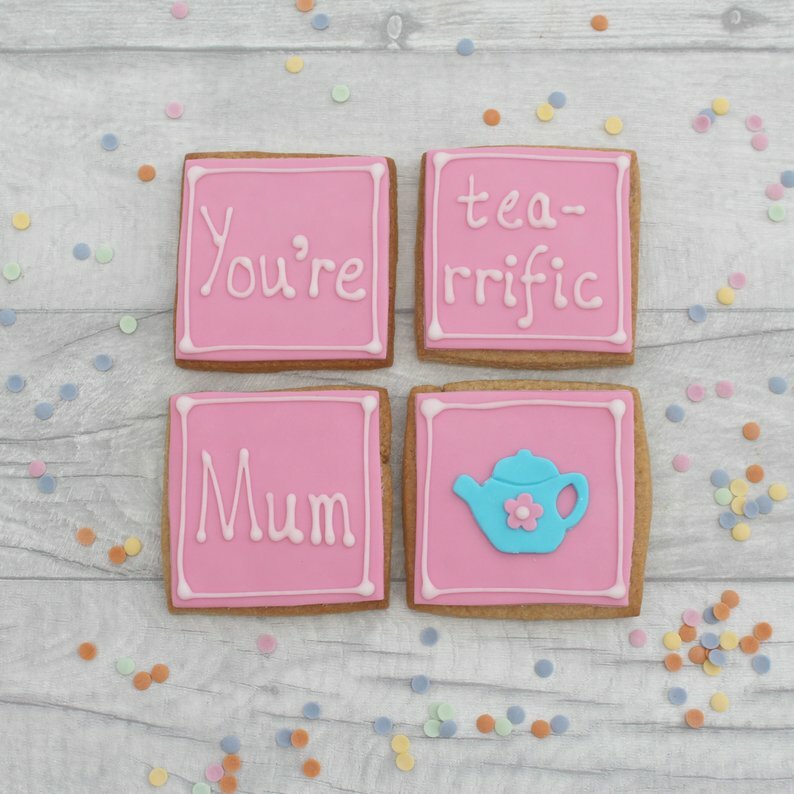 Mum’ll love a little treat to go with her cuppa tea, and these almost-too-pretty-to-eat Hand-Iced Biscuits from Marie’s Bakehouse will be perfect. 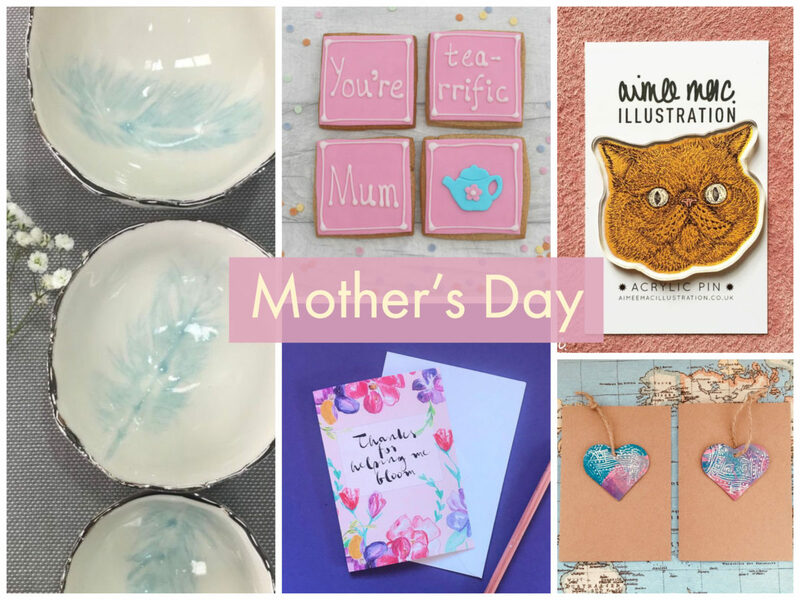 Author Etsy LeaderPosted on March 10, 2019 March 11, 2019 Categories Gift GuidesTags gift guide, Mother's Day, Mum, shopping guideLeave a comment on Celebrate your lovely Mums this Mother’s Day! 1. 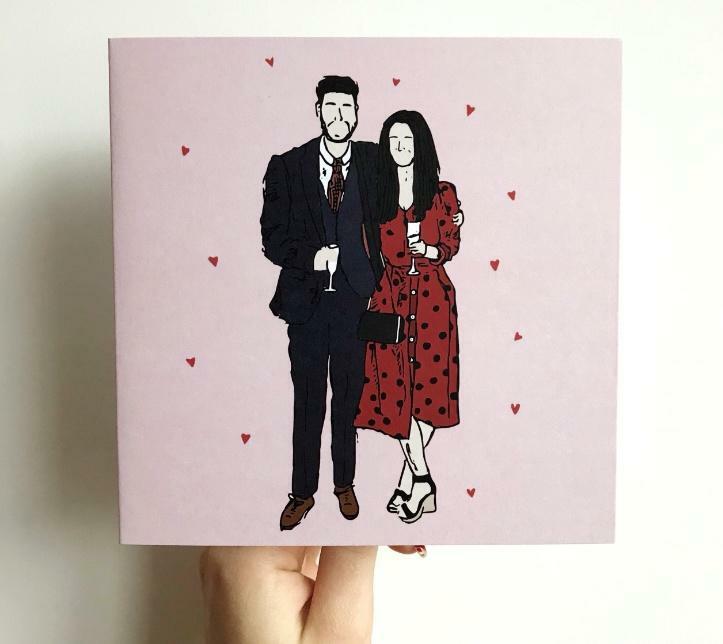 Perfectly capture a moment or memory with a customisable card this Valentine’s Day! Simply send your chosen photo to the maker, ALittleMoonBeam, via Etsy conversations and they’ll illustrate it to create a wonderfully personalised card. And don’t be shy about getting creative with it – you could choose photos of your pets, places or objects – whatever means something special to you or the recipient! 3. Sometimes we love each other so darn much that it’s just impossible to express ourselves verbally… so let’s share our innermost feelings via the unusual medium of embroidery! 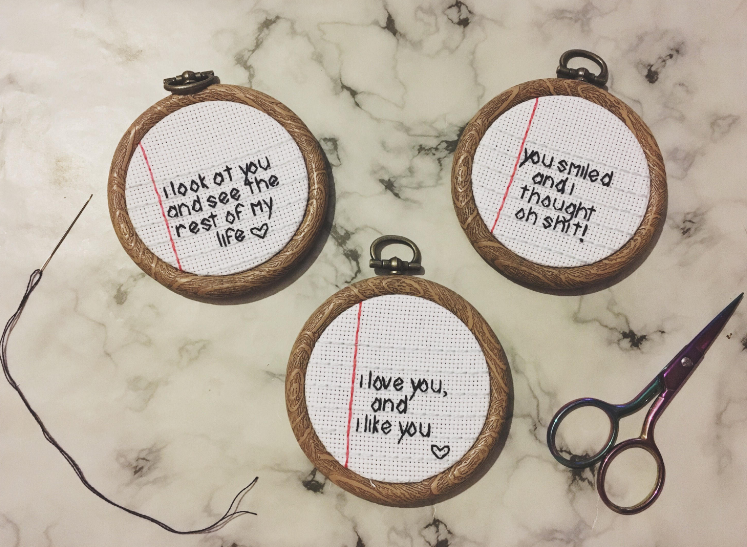 You can choose your own personalised message, so long as it’s short and sweet, and Sophiemayde will stitch your words by hand onto these little hoops for you to pass on to your partner, your Mum, or maybe your Dentist, if you think they’re really great. 4. Do you hate dating? But do you like your friends? If you answer yes to both these questions, then stop wasting time and immediately purchase these cards for each of your besties. Screw Valentine’s, it’s all about Palentine’s – which I personally think we should celebrate all year round! 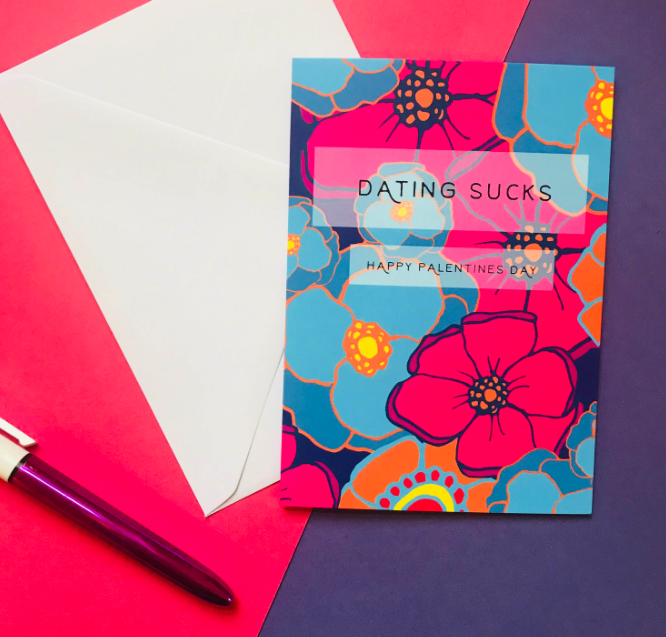 The vibrant design has been hand-painted by LauraCharleyDesign, before being printed to create A6 cards, which are left blank inside – ideal for you to fill with more rambling complaints about all the bad dates you endured in 2018. 5. 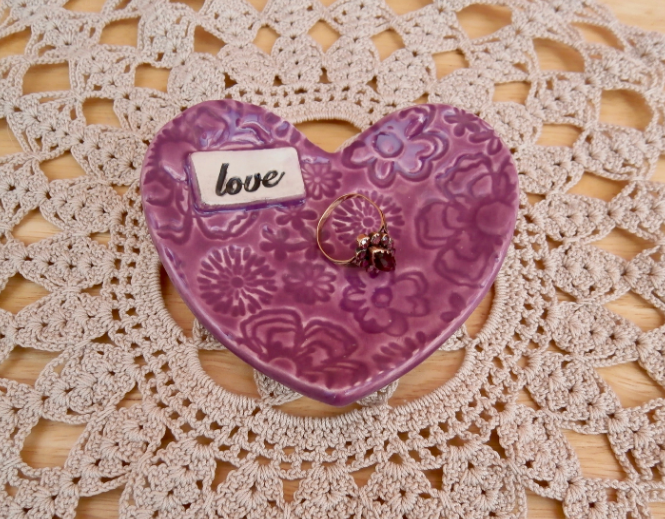 OK… now back to items for people who DO like dating… we have these delicate little heart dishes made by BlueButterflyCrafts! 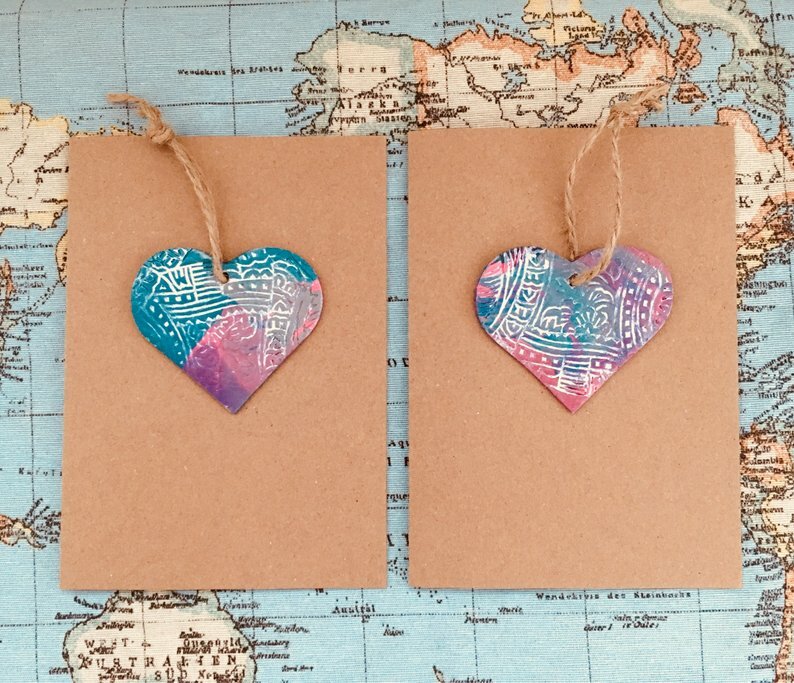 Available in your choice of purple or red, these dainty ceramic hearts are perfect for holding tealight candles, as a place to store rings or other small trinkets, or simply to add a pop of colour to your mantelpiece or bookcase. Did you know that pottery is the traditional gift for the 9th wedding anniversary? 6. 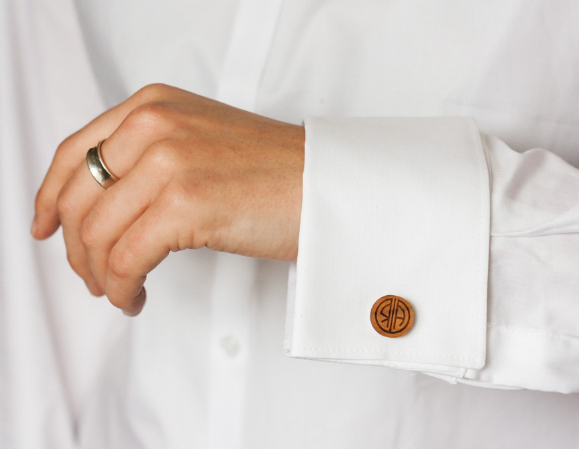 Inspired by The Great Gatsby, OMGoshShop offers these smart and sophisticated wooden monogram cufflinks, which are personalised with your chosen initials. You can even opt for 2 different initial pairs, one for each cufflink, AND you can choose Solid Oak, Walnut or Cherry as your choice of wood! 7. 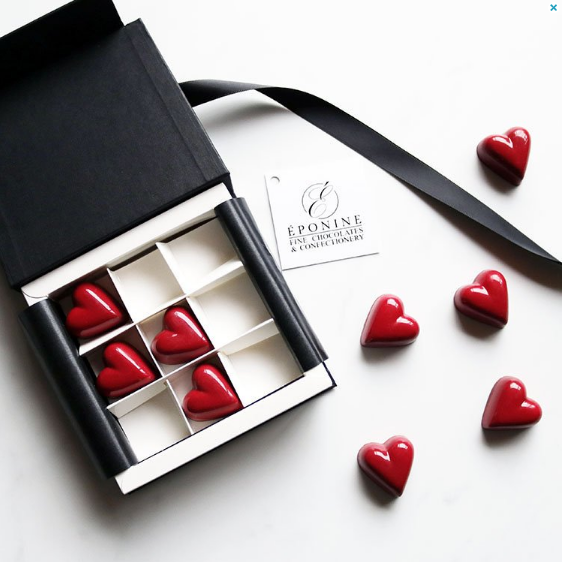 Clearly we think that personalisation is the way to go for Valentine’s Day 2019… because here we have another fabulously customisable option for you! 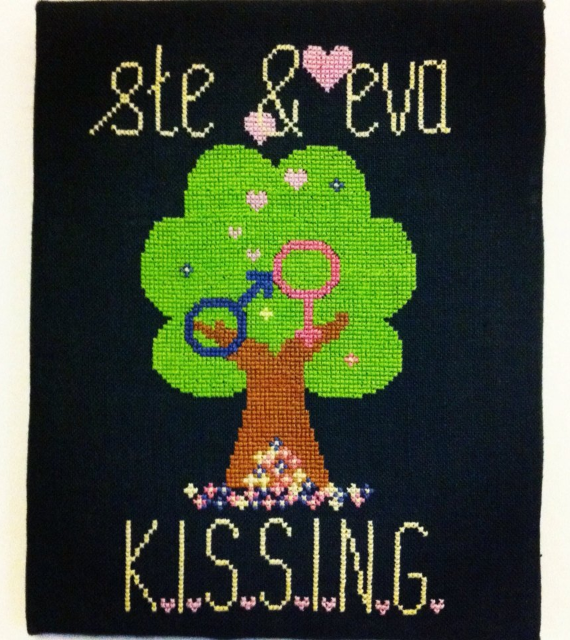 sevenPMstitches will add your chosen names to this adorable cross-stitch pattern (PDF download format), which is ideal for beginners or intermediate level cross-stitchers. 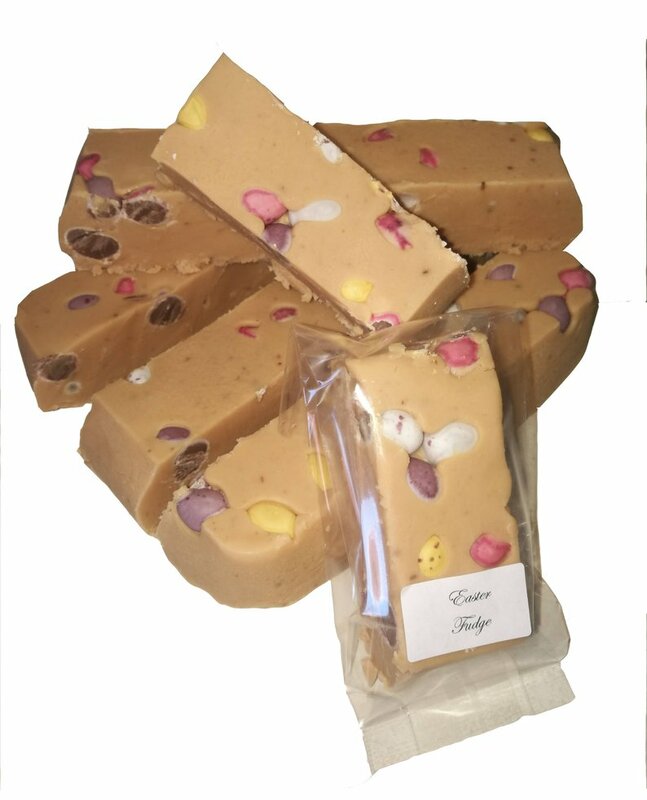 Go on – give it go – handmade gifts are always a fabulous way of saying “I love you”! 8. 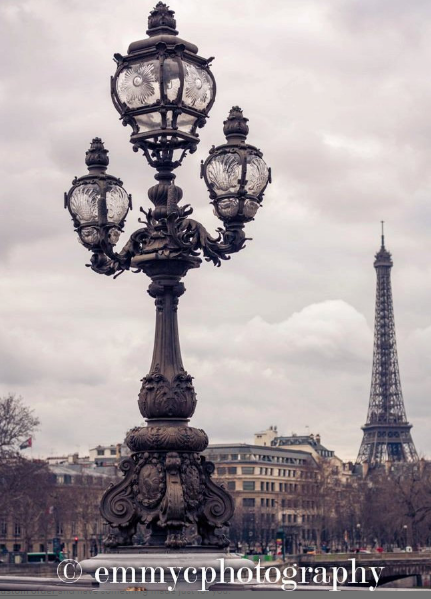 Say “je t’aime” with this beautiful print by emmycphotography! This 8” x 6” print features a view of the Eiffel Tower from Pont Alexandre, Paris, which is probably the most amorous location on Earth. The gorgeous, vintage-esque colours and dreamy architecture will effortlessly add a touch of romance to any home! 9. We’re a loving bunch here at EtsyMCR and would never condone you exterminating your significant other (or anyone, for that matter). 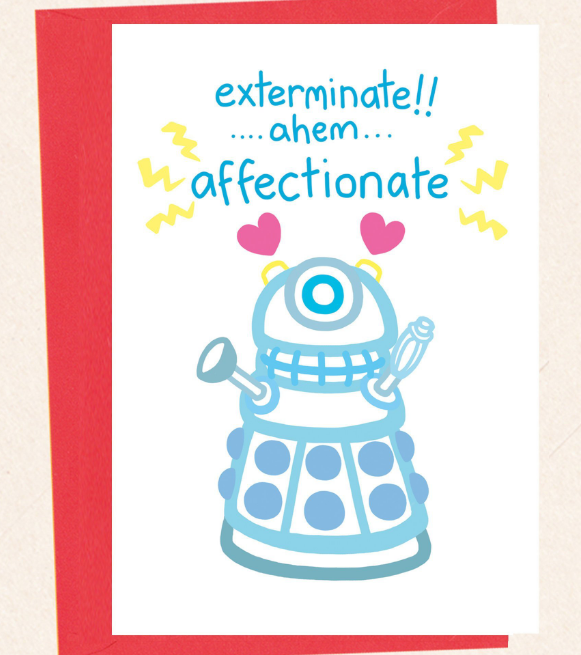 However, we are very supportive of you affectionate-ing them, and recommend you do so by purchasing this adorable card by Doodlesworth! This card is A6 size, left blank in the middle for you to write your own message, and printed on environmentally friendly FSC approved card. 10. 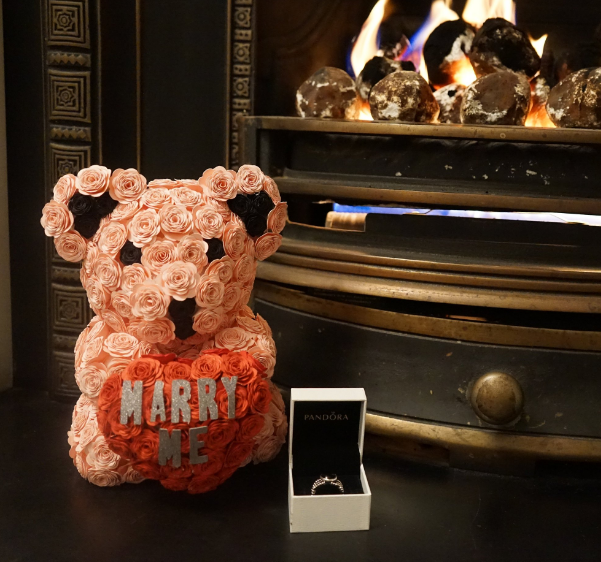 And now for those of you planning to make this Valentine’s Day extra special… we have this stunning proposal bear by AndSoItBiggins. Decorated with approximately 250 handcrafted roses and made to order in the colour of your choice, these bears are the perfect way to pop that all important question, and will be a lovely keepsake for you and your partner to remember the moment forever. EtsyMCR wishes you a spooktacular Hallowe’en! Witch ones will be your grave-ourites? Looking for some not-so-scary accessories to complete your Hallowe’en costume this year? Every pumpkin charm on these necklaces is lovingly handmade using polymer clay, and each delicate detail is carefully sculpted and carved, to make them look like real, miniature pumpkins! 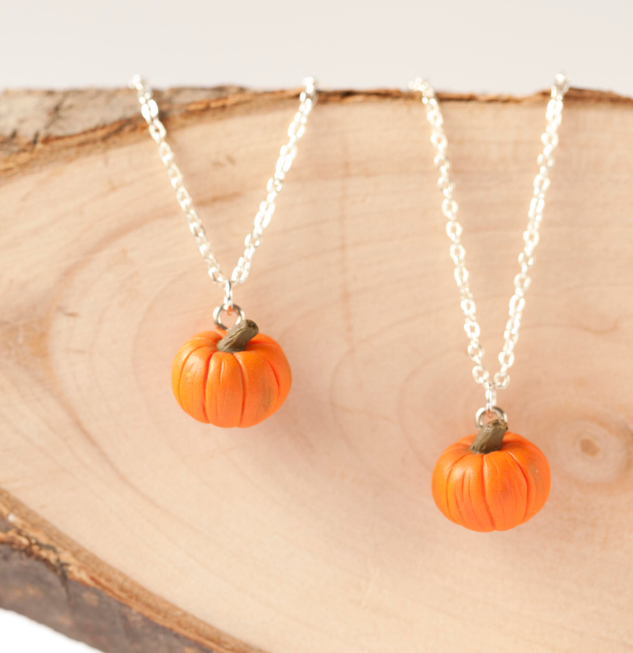 We still can’t get over how realistic these little pumpkin necklaces are! 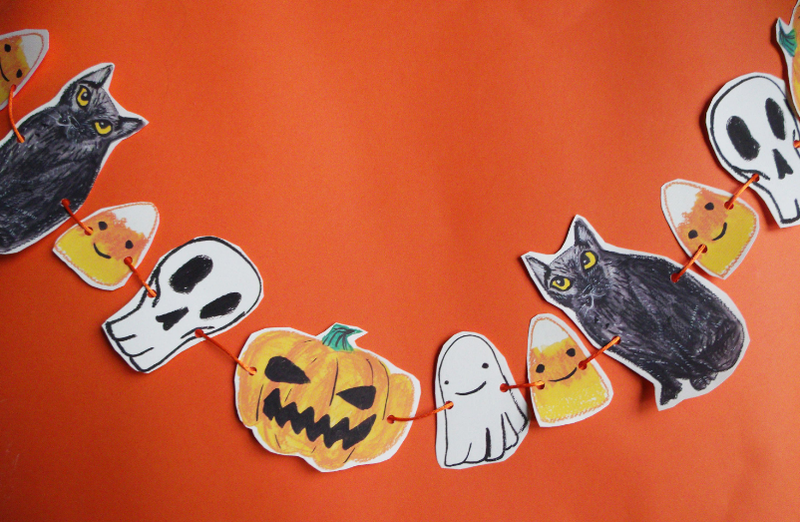 No Halloween party would be complete without this Hallowe’en themed paper garland – each one has a creepy (well, actually adorable!) array of illustrated characters, including black cats, ghosts, skulls, pumpkins, and candy corn! 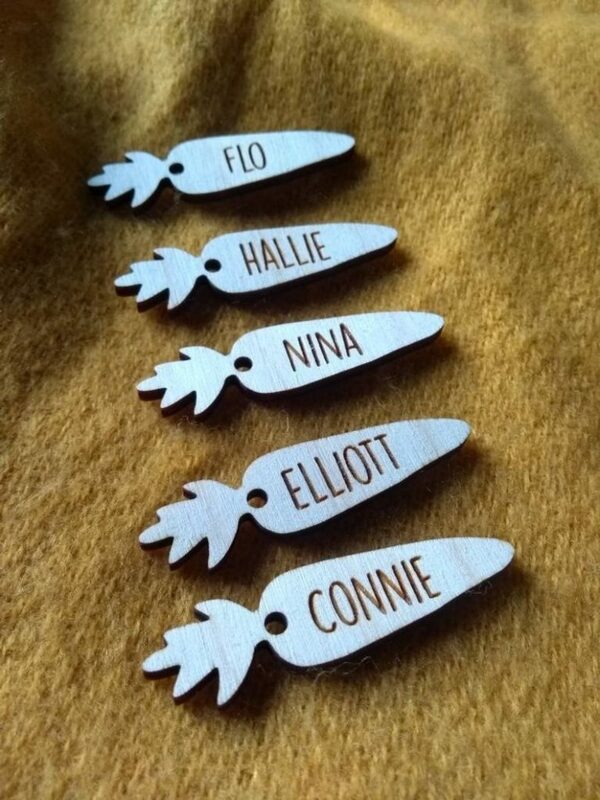 Each character is printed onto recycled paper, before being individually cut out by hand and threaded onto orange cord. This giant yeti is all set for Hallowe’en, having decided to dress as Count Dracula this year! 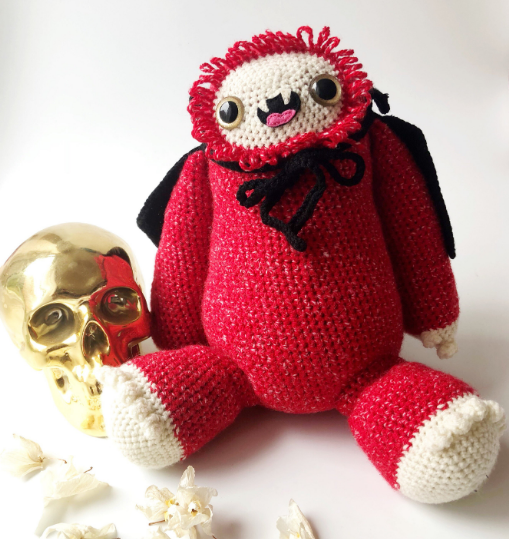 All of the monsters by The Cryptid Zoo are knitted by hand, and this yeti has been made using a red textured yarn, complete with a black vampire cape. Although he makes no guarantees, this yeti promises he’ll try his best to protect you from the real monsters this Hallowe’en! 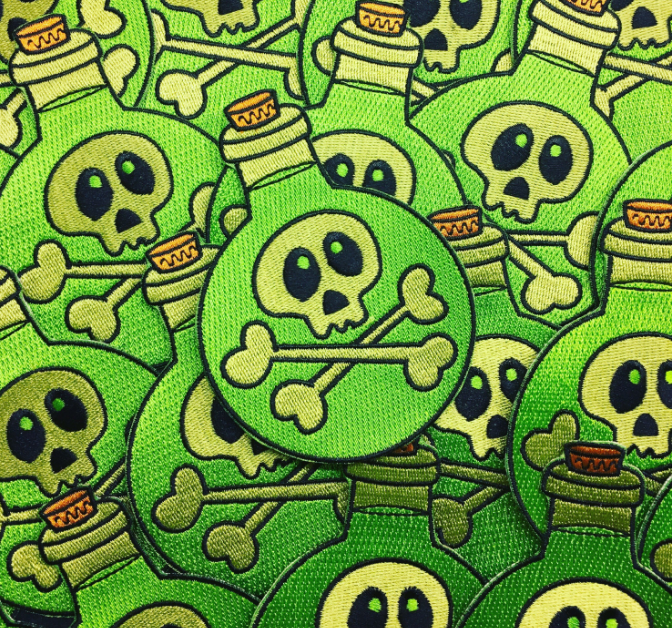 Any outfit would look venom-enal with these embroidered patches! Measuring four inches high, you can sew or iron these patches onto your child’s school backpack, or perhaps your own work bag or jacket. Or you could order a few of them, and decorate your whole Hallowe’en costume! And why not order the matching enamel badge on BirdHousePress’s Etsy shop, too?! 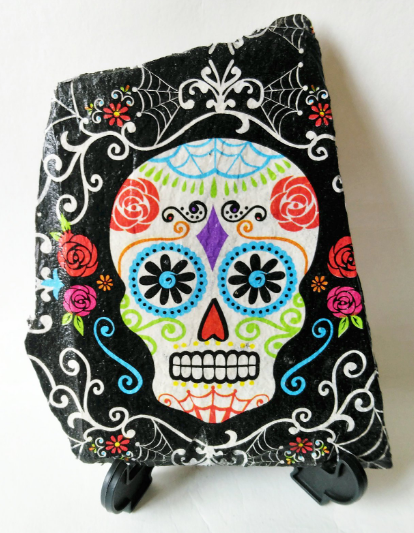 This expertly decorated slate will add a touch of Mexican macabre to your Hallowe’en décor. Hand finished using decoupage, it includes a stand so you can easily display it anywhere in your home – it would make a fabulously scary party decoration! Arriba! 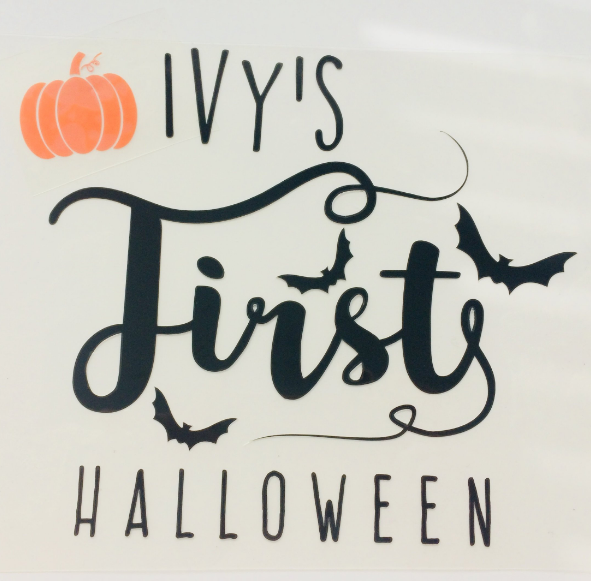 Celebrate your baby’s first Hallowe’en this year with one of these vinyl transfers; simply iron them onto your chosen clothing (perhaps a plain onesie, top, or even a bib). You can personalise them with your baby’s name, and you can even choose your preferred size and colour scheme! One of our most loved Hallowe’en traditions is pumpkin carving – it’s a wonderful, creative activity to do with children this time of year. 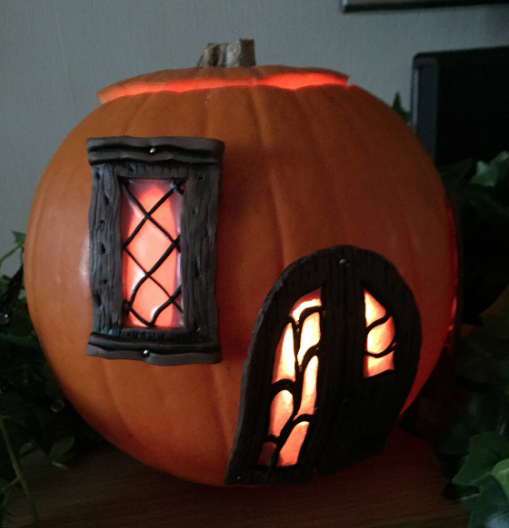 Take your pumpkin carving to the next level with these whimsical, handmade pumpkin house accessories by Paper Tree Cottage – you will receive a door and a window for your pumpkin, so when you put a candle inside, it looks like someone’s home! 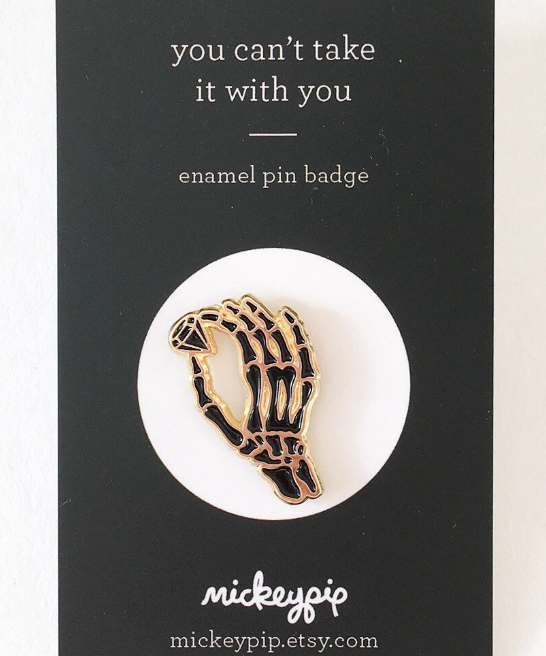 Make no bones about it – this enamel pin badge will make a handy addition to any Hallowe’en ensemble. Add badges to your jacket or bag for an every-day look, or incorporate them into your costume this year! Eight Creative Communities for Indie Businesses, Makers and Doers in Manchester! 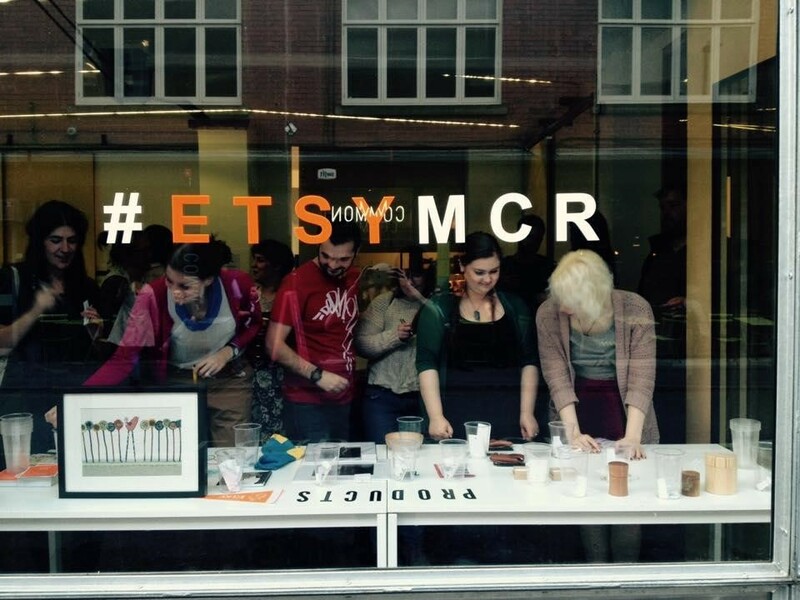 Hannah Cox of Stag and Raven and betternotstop shares some of her favourite local communities – including EtsyMCR! Photo Credit: Leona, Lucky Dip Club. I’ve been a self employed business owner and blogger for years now and I still get overwhelmed when trying to prioritise my workload and decide what’s best for my business. I have been running my shop, Stag and Raven for three years. Since my business partner left in the Summer I have decided to really refocus my plans, and part of that has been seeking out support from other business people. Running a creative business on your own is hard, which is why deliberately searching out a community that understands us is so important. The benefit of finding our community is huge. We can feel supported, share ideas, work together and help us find whatever success means to us. We need a nonjudgmental, friendly environment to help us grow and succeed. I wanted to share with you the best off and online communities that you can join now to find a group of people that understand you! This is a good start for you whether you run Etsy as a hobby, side hustle or are looking to grow it as a full time business. I have only just started using Etsy as a platform to sell as I have been with Shopify for the last few years and found it to be a wonderful online platform for Stag and Raven. However joining Etsy has already had a big positive influence through the community of people I have met at the Manchester Meetups. Our team meet once a month and have events structured around a central topic (last month was how to work with influencers) and then an opportunity to network. Not only have I been walking away from these meetups with tangible ideas on how to grow my business, but also its been a great place to find people to collaborate with and help me with problems and issues I am facing. 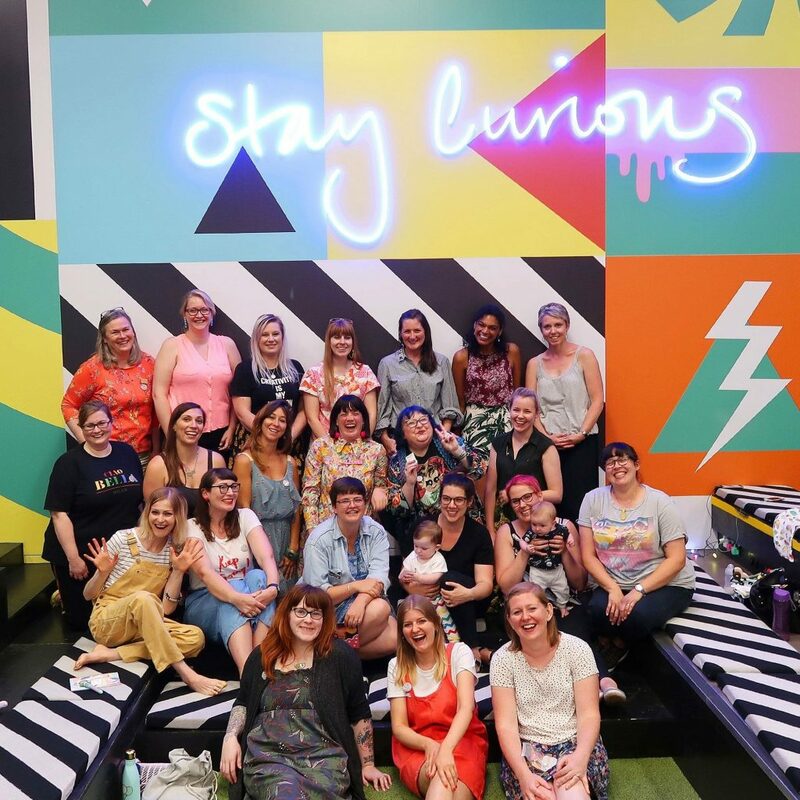 If you haven’t made it to a meet up yet, please try and make it to the next one – I would love to meet you there! If evenings are just too hard, why don’t you make a effort to get involved in discussions online and asking questions to other business owners that way? You can join the Manchester team here. As well as an active Facebook community, the main purpose of this group is to create real life connections. 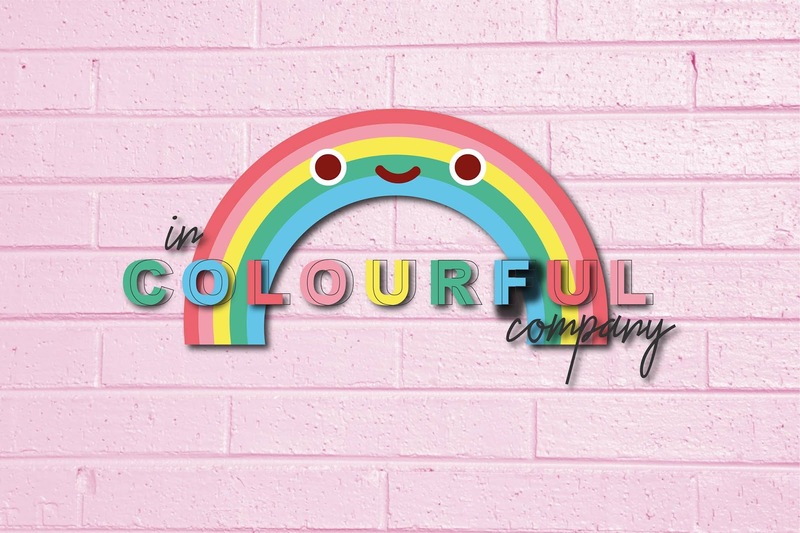 They believe in living a creative live and highlight this through organising ‘colour walks’ all over the UK with upcoming walks in Manchester, Leeds, Margate, London, Liverpool, Brighton and Glasgow. 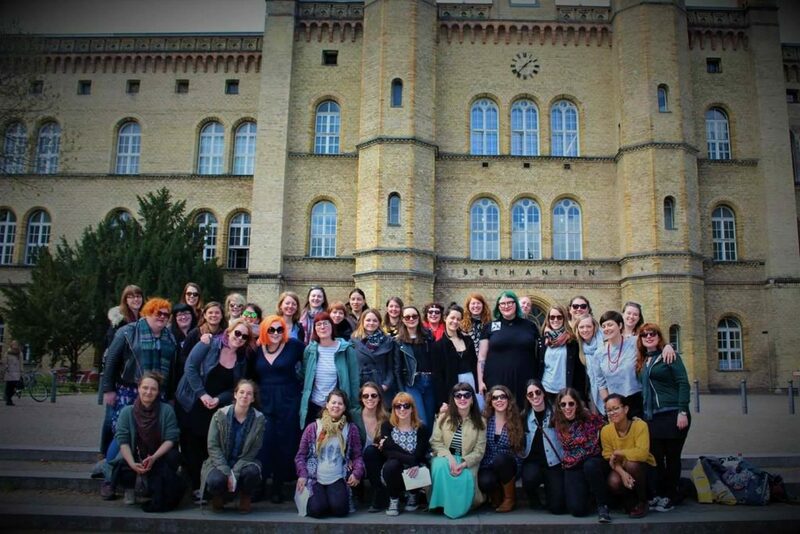 These involve spending two – three hours exploring the city, taking photos and getting to know each other. All are finished with a shared meal together and an opportunity to make new friendships. Joining this group was a game changer for me. Run by Leona from Lucky Dip Club, this acts like a virtual co-working space for indie biz owners to chat, collaborate and cheerlead. With over 2,000 members, this closed group is a safe space to discuss any business issues you may have, share information and help find a real sense of community. Not only that, Leona has tons of live video resources on topics as varied as blogging, subscriptions, licensing and wholesale to help you with your own research and business development. 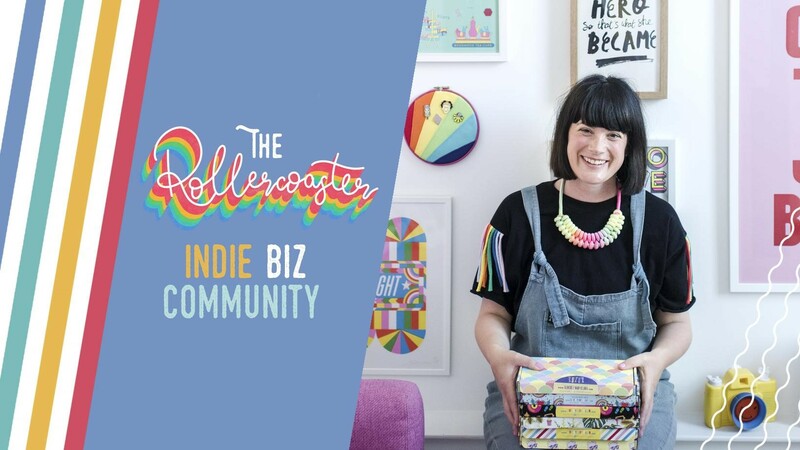 As well as running this group, Leonie also has a subscription based ‘Make It Happen’ group which goes really in depth with support and course work to help you grow your indie biz. Subscriptions for this are now closed, but signing up to the main free group will give you a ton of free resources and support to get you started. I started writing over at betternotstop.com five years ago when I was working in the Music and Events Industry and was trying to seek out other people with my values. I believe we should all enjoy everyday life through our work, friendships, travel, and adventure. We can make our lives better, we can help and support each other, and make the world a nicer place to be. I also started meetups in Manchester and Liverpool to meet other like minded people through putting on talks, workshops and film nights. I am happy to say I met a lovely group of people I can now call my friends. After returning to Manchester this year after a year of travel I decided to start my events up again. As well as running a monthly evening meetup, I also run what I call my ‘GSD Coffee Mornings’ every Wednesday. (Yes, it stands for ‘Get S**t Done’!). These are a way for us all to meet other indie business owners in Manchester and help us all towards holding ourselves accountable for our business goals. Photo Credit: Darren Bullock on the OverDrawn Facebook Group Page. 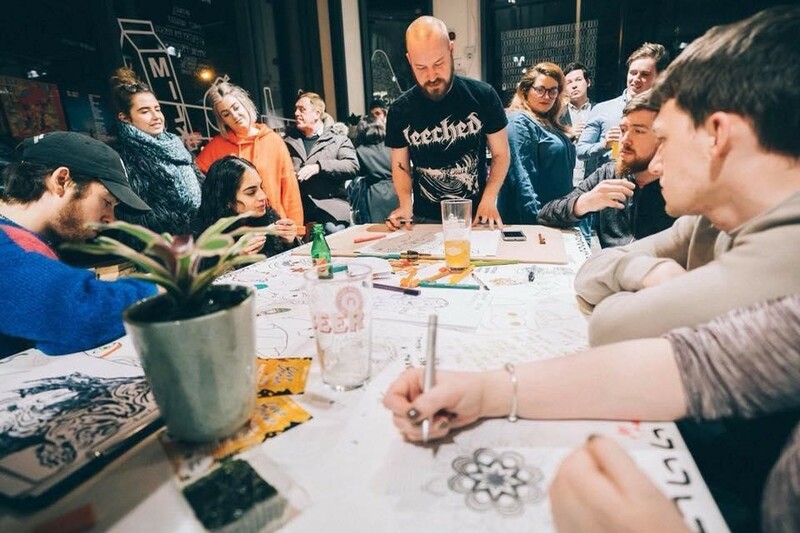 Head down for a night of live art, pound portraits, illustration showdowns and doodling on the tables! OverDrawn is an interactive art brand. They showcase local artists, drawing live under the lights & allowing the audience to get involved. Photo Credit: Jack Kirwin on the Art Battle Manchester Facebook Group Page. 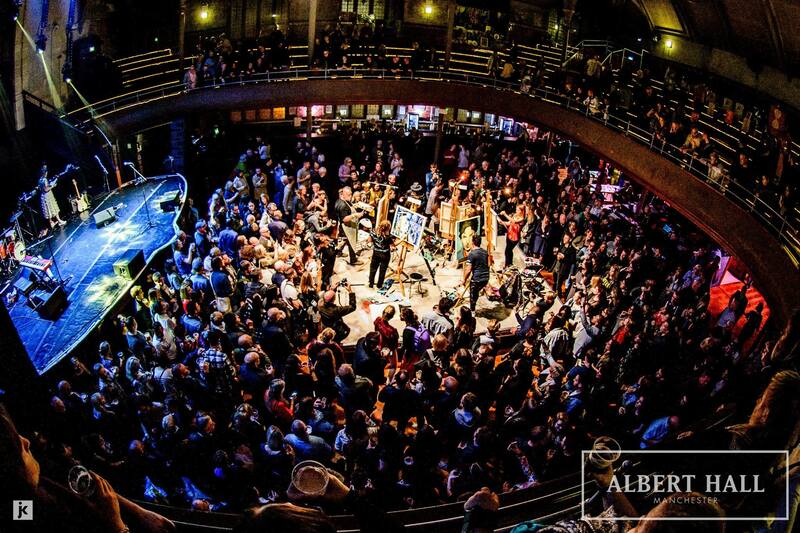 Taking place at venues around the City, Art Battle Manchester is Manchester’s most energetic art event. Each event has ten Artists who take centre stage and produce a piece of Art within 30 minutes. The audience then decides who is crowned Champion. Not only that, the art is auctioned off at the end of the night and all money raised goes to charity. A brilliantly inspiring event to go to as a maker or painter. Perhaps you could apply to take part yourself? Follow Art Battle Manchester here. Meetup believes that getting together with people in real life is what makes powerful things happen! I promote betternotstop through meetup and as an organiser it costs me £20 a month to put on events on this platform. However it is free to join and explore what is on in your city. Many groups run a mixture of paid for and free events, so it depends on the community you join on whether it costs anything to attend an event. As a guide, most major cities in the UK have meetups for art classes, dancing, hiking, filmmakers, photographers freelancers and business owners. It’s also a great place to seek out building a community yourself. People who join meetup are actively looking to get together with people with similar interests. So if there is nothing on you fancy in your city, maybe you are the person to start it! 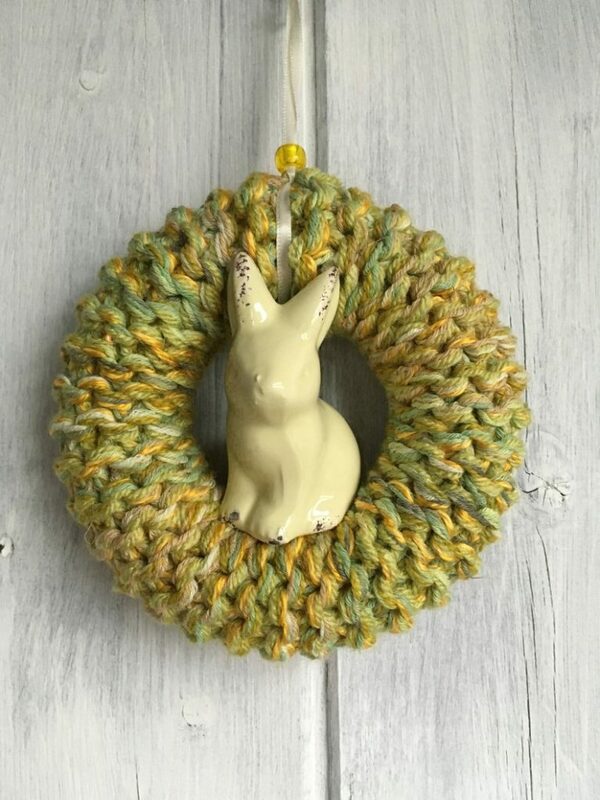 Perhaps you want to start workshops or meet other knitters, sewers, bakers or photographers? Find out what Meetups are on in your city here. Eventbrite is a similar platform to meetup as it allows event organisers and potential customers the perfect place to meet online. Membership for organisers is much cheaper, as it only charges you per event and takes a percentage of the ticket price. Like meetup it is free to join and explore what is on in your city. As it is cheaper it tends to be VERY busy and hard to navigate what is going on around you. It has a huge variety of events available. As a guide, when I was researching for this article in Manchester there were thirty different events to attend today, from bicycle repairs, networking, prosecco tasting and free walking tours. Although there is more to explore, I find it a lot harder to navigate when looking for things to do. Find out what events are on in your city here. Joining a new community and seeking out new friendships can feel hard, I know. What you need to remind yourself is that you can do anything, just not everything! Any fears or problems that you have running your own business or creating your own art, is totally normal. This is why sharing with other people is a vital part of finding your community. I strongly encourage you to join any or all of the groups in this article that you feel align with your values. Join in the discussions, ask questions and decide which ones are right for you. 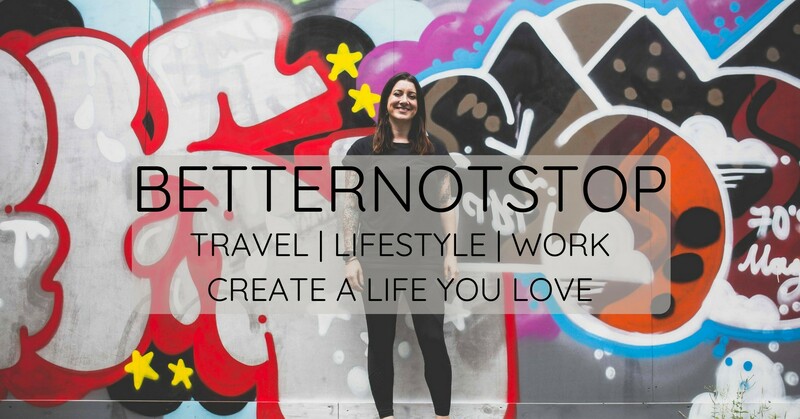 I run Stag and Raven, a UK Art & Lifestyle brand and betternotstop, a lifestyle site and events focused on building a life you love through meaningful work and adventure. Join my Facebook group here. Hey everyone! My name’s Sophie Heywood and I am a freelance illustrator making lots of colourful prints, greeting cards, badges and more. I’ve had the pleasure of selecting a few items that have caught my attention from fellow team members. After this summer’s fantastic heat wave, I have gone with a theme of sea, sun and all things summer! Whether that’s with colour, subject matter or function. 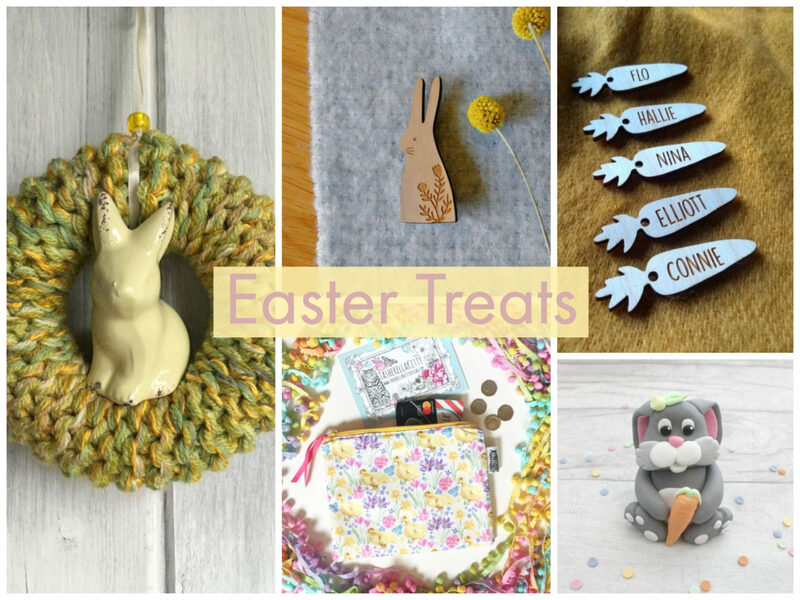 Let’s have a gander at some wonderful makes! We all need a good notebook in our lives, right? I’m always writing lists; I’d forget everything if I didn’t. 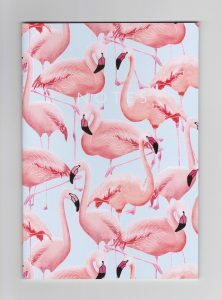 This one by Lydia Meiying serves up tropical realness with this fabulous flamingo pattern. Who doesn’t love a good pun? Nicole Julia perfects them with her super cute illustrations. 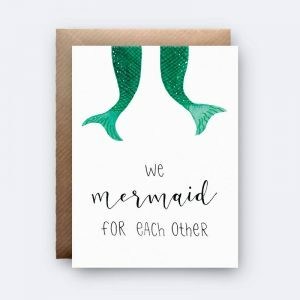 This card is simply mer-mazing! Perfect if you have a wedding anniversary this summer. Let’s just talk about how amazingly detailed this embroidered wall art from Beth of Yellow Fred is. This really reflects how much work this teamie puts into her pieces! 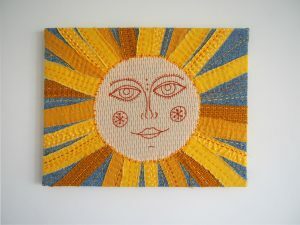 Plus you’ll never be without the sun with this hanging in your home. It can be hard to keep our poor little plants alive in this heat. (I struggle enough as it is…) But fear not! 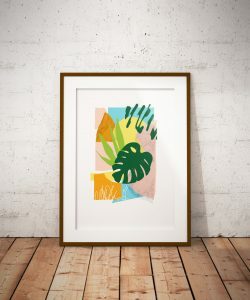 Kim of Northern Sun Art Prints has this plant print that you can keep alive forever and ever. Plus those colours just scream summer vibes! 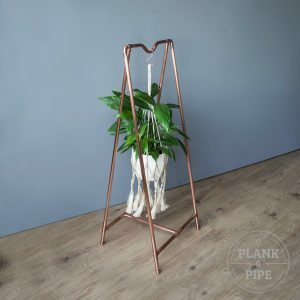 Speaking of plants, how amazing is this copper plant hanger made by Alex of Plank and Pipe? Perfect for any home or garden this summer and indeed, all year round. The copper finish will go with any décor style and is perfect for any season! This photo from Eyeshoot Photography reminds me of family holidays as a kid! 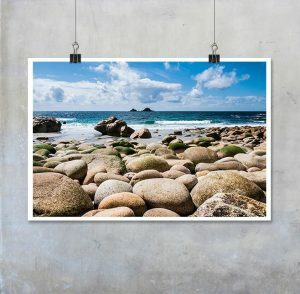 You’ll never be without the seaside with this high quality photography print. I can almost smell the sea air! It’s available in a different range of sizes too. Summer florals and cats? What’s not to love! 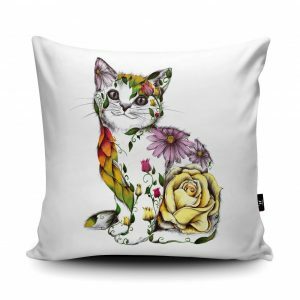 This vegan suede cushion is sold by Wraptious and has been designed by Kat Baxter. This would make the perfect gift for the animal lovers in our lives. Nothing says summer like sunflowers! 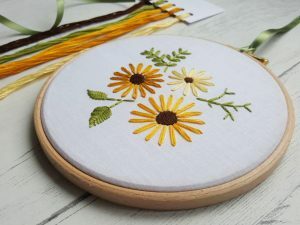 I can just imagine being sat in the garden with a bit of shade, a cold drink to my side and this embroidery kit from Natalie Gaynor Designs for the ultimate relaxing day. 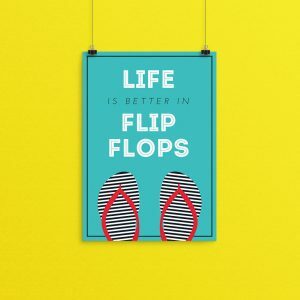 I’m sure this print by Adam of Paper Sheriff is a lot of people’s summer mantra! This colourful typographical print is also available as a digital download so you can deliver printed goodness to your home printer! 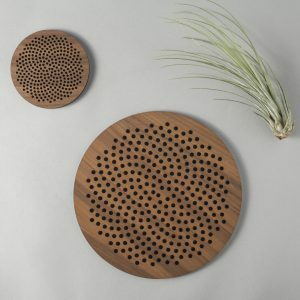 And last but not least, we have this intricately designed wood placemat from Simon of Denvers Designs. Inspired by the spiral patterns found in sunflowers and cacti, this would be a perfect addition to any home. Our top 10 picks for our top 10 Dads! Our newest Team Leader, Sally – aka The Lobe Wardrobe – has picked some of her favourite Father’s Day cards and gifts made by the EtsyMCR Team. 1) First up, something for Dads who just never seem to grow up… introducing the Big Kid Dad! Treat both your little monkey and your big monkey (!) 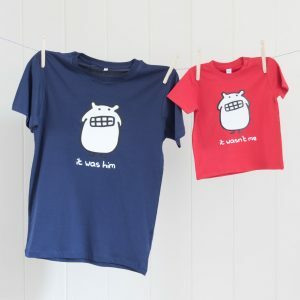 this Father’s Day to these matching t-shirts by DadsAndKids – they are hand pressed in Cheshire, and are available in several sizes and colours. 2) Next we have a gift for any New or Soon-to-be Dads; these beautifully simple card packs by IsabellaandUs would make a lovely gift to Dad from Mum, baby or the bump! 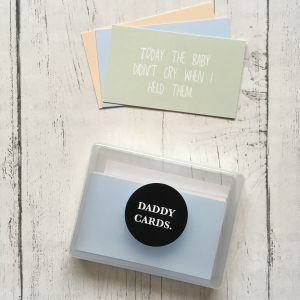 The pack includes 20 “Daddy” cards, each have messages to remind and reassure new Dads that they’re doing a brilliant job. 4) If you’re looking for something extra special for your Sophisticated Dad, we think these fine wool and silk blend scarves might just do the trick! 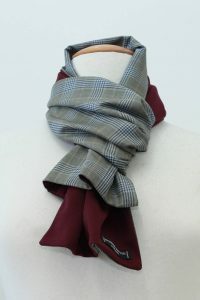 BronwenSimpson offers a variety of styles in their shop, but this burgundy ponte fabric scarf in particular would make a stunning gift for Father’s Day. 5) If you have a Sweet Tooth Dad (also known as Always Hungry Dad, or Third Helpings Dad), we reckon you can’t go wrong with these personalised sweetie hampers! 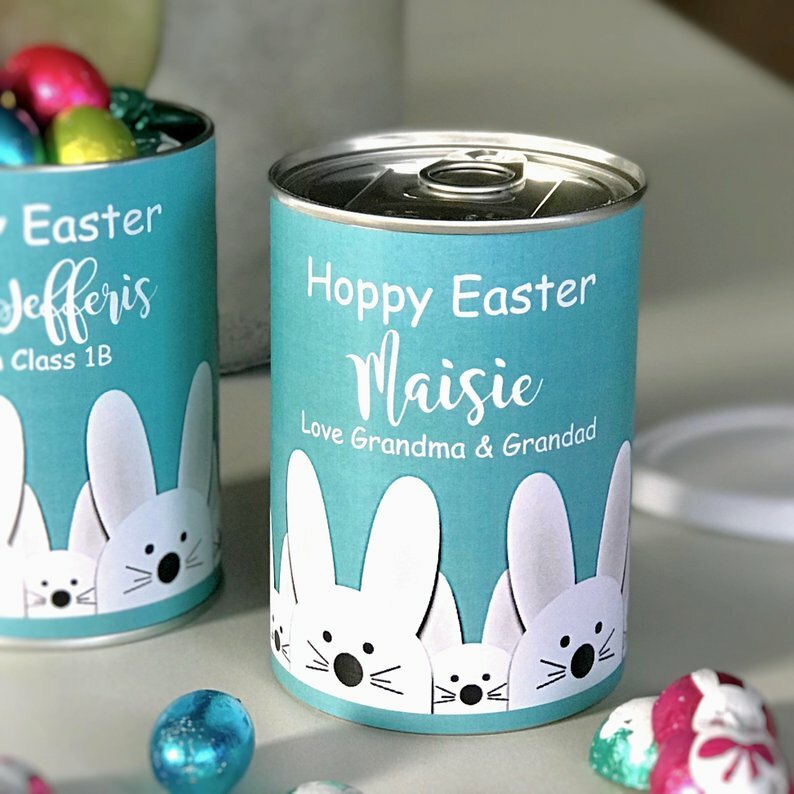 HarlieLoves offers two hamper sizes to best suit your Dad’s appetite, and you can add a personalised message to the gift box and individual sweetie labels. 6) These illustrated cards by sophieheywood would be adored by just about any Dad out there, but particularly loved by any Nature Loving Dads! 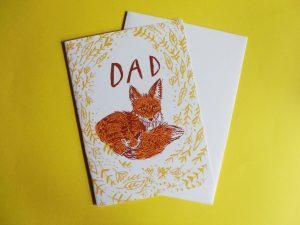 Blank on the inside, with the beautiful image of a baby fox cuddling into their parent on the front, we think these cards would be perfect for any child to give to their Dad this Father’s Day. 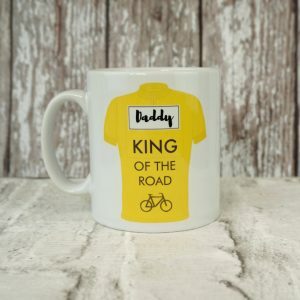 7) Spoil your Sports Mad Dad this Father’s Day with a “King of The Road” cycling themed mug! In addition to mugs, TailoredChocolates offer several other cycling themed gifts, and various other sports themes, including rugby and golf. The mugs hold a generous 11oz (ideal to quench the thirst of any particularly dehydrated Sports Mad Dads!) and are dishwasher safe. 8) Though very similar to Pun-loving Dad, may I introduce a new variety of jokester… Crude-loving Dad! 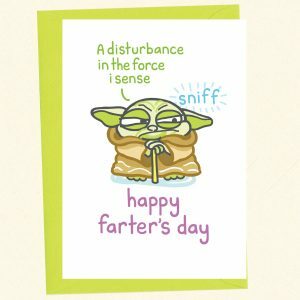 This type of Dad will particularly enjoy these humorous (and sometimes a little bit naughty!) 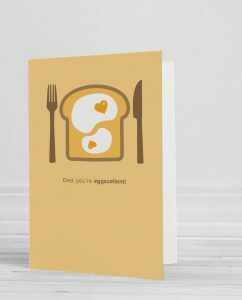 cards by HelenDodsworthDesign – with so many cheeky designs to choose from, you’re guaranteed to find one that will make your Dad chuckle on Father’s Day. 9) The penultimate Dad on our list is Outdoorsy Dad! 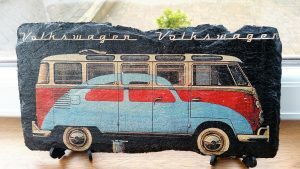 SimplyImperfected has used the tricky decoupage method to expertly decorate this piece of slate, and we think the campervan theme would make an ideal gift for any Outdoorsy Dads for Father’s Day. The slate comes with two stands, so your Dad can display this lovely slate piece pride of place on his window sill, or even in his actual campervan! 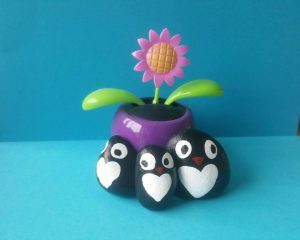 10) And last but certainly not least, an adorable gift for any Family Man Dads… a set of three hand painted penguin pebbles by TheRaspberryCat – perfect for indoor or outdoor decoration in a family home. 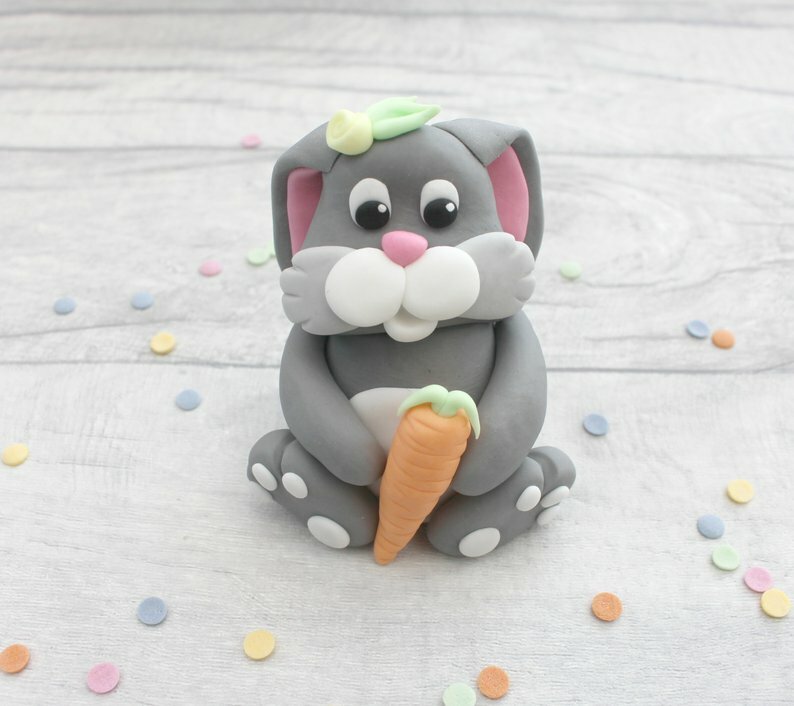 We think these would make a lovely little gift from any child to their Dad this Father’s Day! 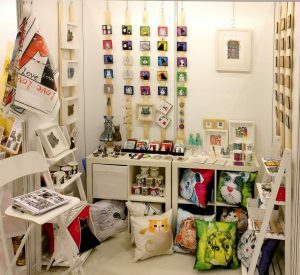 This April saw the British Craft Trade Fair set up for its three day event in Harrogate. This prestigious show, now in its 44th year, is a specialist event for artists and makers wishing to showcase their handmade products to a select group of retailers and galleries. 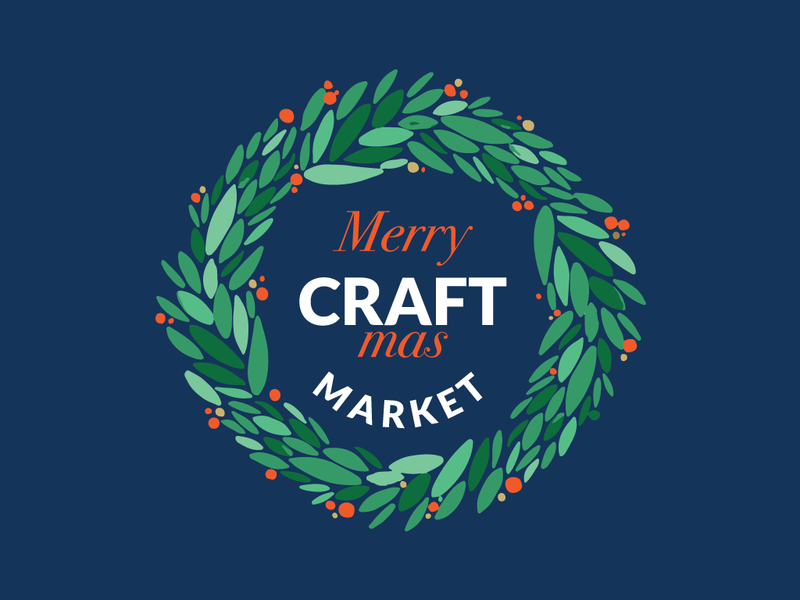 This year a number of EtsyMCR team members exhibited, some for the first time, others as established makers. 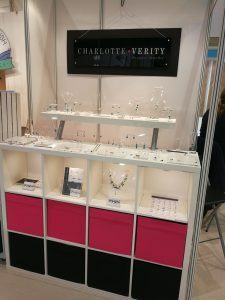 After having time to recover from the weekend, Charlotte Verity Jewellery Designer; Catherine (aka Swifty) of Swifty Bell Designs; Sophie Cunningham Illustrator; and Kat Pearson Designs have taken a few moments to reflect on and share some of their experiences and advice with the rest of the team. Swifty, who exhibited for the first time in 2017, had graduated to the Post-Newcomers area. “It’s been really good for me. Probably my most stressful time ever, especially in the run up!” Her reasons for choosing BCTF included first-hand experience of being told by retailers that they didn’t like being approached directly by makers, preferring to choose artists from trade fairs. Taking part in the event also enabled her to talk directly to shops and galleries to find out what they were looking for, and what sort of customers they have. Both Kat and Sophie were Newcomers this year; both a blessing and a curse if all the advice and comments from experienced exhibitors were to be believed! 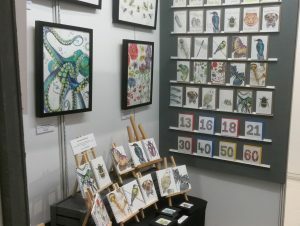 The Newcomers Area is for first-time trade show exhibitors, who may not necessarily be new businesses, and was made up of a good mix of artists and makers at various stages of their careers. Kat and Sophie found their first Trade Fair experience ‘a little disappointing, and an expensive experience’, however Kat added that it was “a huge learning opportunity”. Kat and Sophie opted to try BCTF this year to develop the Wholesale side of their businesses, in a hope to cut down on the number of markets they needed to do. Sophie got off to a good start with an order in the very first hour! All Newcomers are warned not to expect sales at the event, but to chase up leads afterwards. One buyer even commented that, “Newcomers is the first area buyers visit and the last place they buy”. Not exactly reassuring, but made Sophie’s sale even more of a triumph! Make sure of your pricing, that it is consistent and that it is clearly marked on your price lists. Have clear, consistent branding on your stand. If possible, have some lower priced items, as these might encourage initial sales with first-time buyers. Don’t expect to make your money back at the event and do chase up any leads as sales often occur after the event. Don’t be put off by buyers ignoring your stand! They know what they want, and with so many stands they can’t afford to get distracted. Be prepared! However long you think it will take to getall your products, pricing, catalogues etc. sorted, double it (“at least!” says Kat). Only take your best work, and remember, Less is More. Don’t overwhelm your stand. Think carefully about what your key items are and make them the focus. Take buyers’ details and make a note of what they’re interested in, so you can personalise any follow-up communication you have with them. And even if they don’t stop, many have their names/shops on their badges. There’s nothing wrong with making a note of them to research them further, with a view to contacting them in the future. Plan your stand; they’re smaller than you think, and invest in ‘S’ hooks to hang work, as nothing sticks well to the walls. Consider applying to put larger work in the Exhibition Area, as this can attract buyers to your stand. Thanks to contributors Sophie, Charlotte, Kat, Swifty and Emma for their help writing this article.